May 1564: When a samurai is brutally murdered in a Kyoto teahouse, master ninja Hiro has no desire to get involved. But the beautiful entertainer accused of the crime enlists the help of Father Mateo, the Portuguese Jesuit Hiro is sworn to protect, leaving the master shinobi with just three days to find the killer in order to save the girl and the priest from execution. 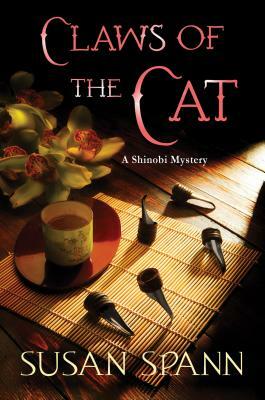 Debut author Susan Spann delivers a riveting mystery filled with rich period detail and a fine sense of Japanese culture. Claws of the Cat boasts a detective like no other and a world never seen before in crime fiction.